Button Down Dress Just $29.99! Down From $60! Shipped! 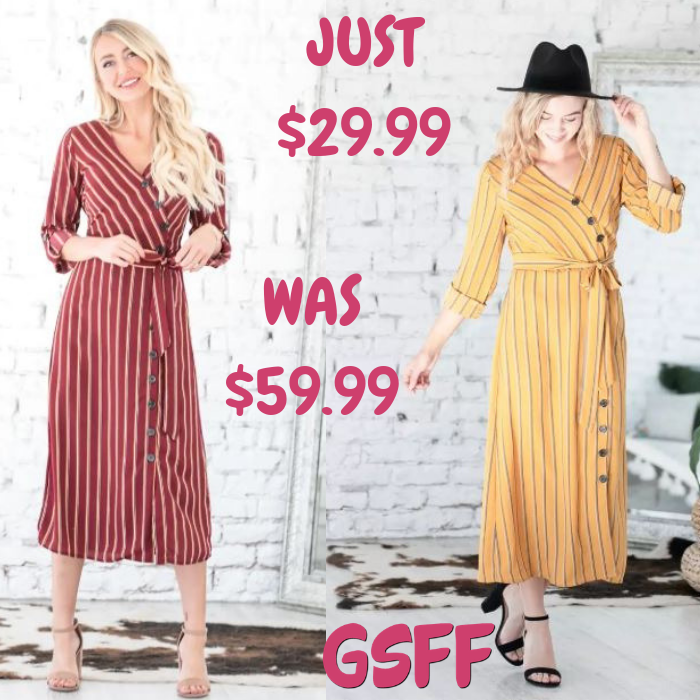 You are here: Home / Great Deals / Button Down Dress Just $29.99! Down From $60! Shipped! This deal expires on December 2! Hurry over to Jane where you can score this Victoria Button Down Dress for just $29.99 down from $59.99 PLUS FREE shipping! Still on the lookout for that perfect dress? We’ve got you covered with this new Victoria Button Down Dress! This dress features a trendy v-neck with buttons down the front, a fitted bodice with a tied waist, and a gorgeous striped design! The semi-loose cut of our dress paired with the ultra soft fabric will quickly make this dress a closet favorite! Rock it with your favorite heels and a fun hat for a great look all season long!